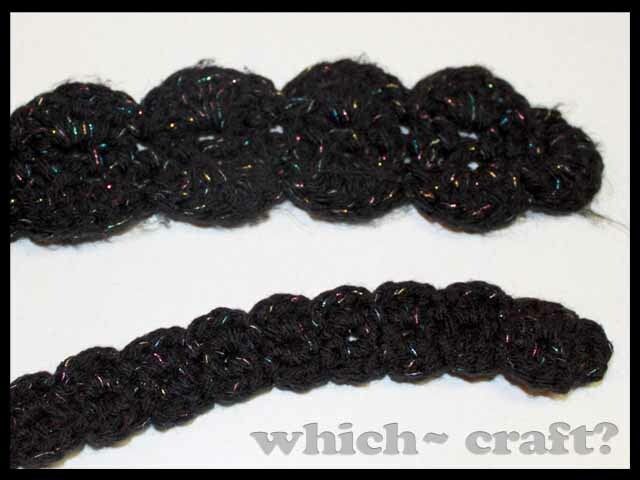 Matching scarf’s | Which~Craft 2 Create? For the scarf I used the Joann’s free pattern One-Skein Crochet Beret and Scarf pattern. You can find it HERE it is a pretty easy to follow pattern. It is a bit vague at the end for the shells around the edges. If you read the comments though they had some good suggestions. I did 5 double crochets in the same stitch. 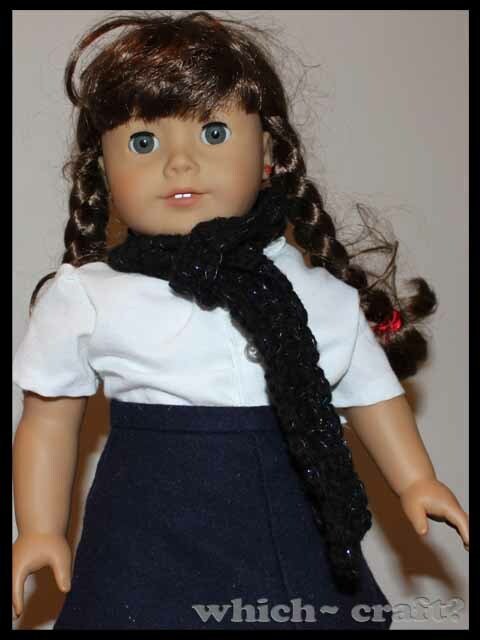 For the matching doll scarf I made the pattern up as I went but based it off of the one above. I meant to write down directions but . . . it was last minute and that just didn’t happen. With a G hook Loosely Chain 94-100 (enough to go around the doll’s neck and hang down about where you want it. Switch to an F hook and in the 4th chain from hook double crochet in each chain across. Turn. Shell 3 double crochets then skip next double crochet space before doing another shell. Work around. You can tell from the picture Pinkalicous’s scarf is well loved. I am a little disappointed with how the yarn is holding up. It also didn’t turn out quite as sparkly as I would have hoped. However, never having worked with yarn like that before it was a gamble. Bottom line she is delighted to be able to be a “twinner” with her doll!